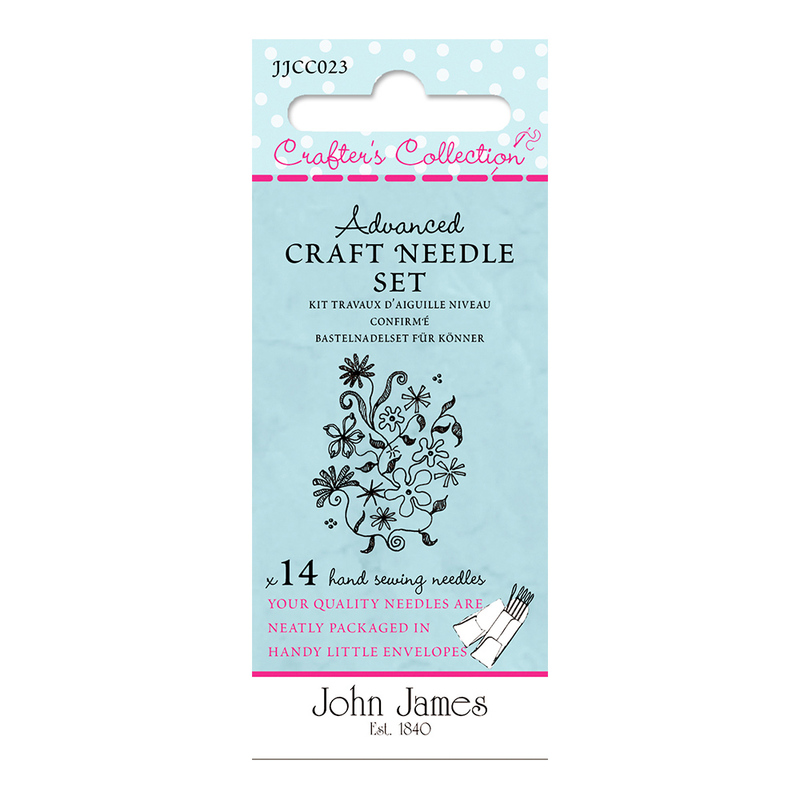 Crafters Collection: Advanced Craft Needle Set Asst. Advanced Craft Needle Set Asst. This advanced needle compendium is designed for the discerning sewer and the needle enthusiast. This is the crème de la crème of all needle packs and contains the following needle combinations: embroidery size 10, quilting size 10 and cross stitchneedles size 26. All sizes offer the very finest quality needles in a unique collection for a professional finish. This design is part of a set, starting with the Beginners set, followed by theIntermediate set to this Advanced set. Why not buy all 3 packs – a great gift for the needle enthusiast whatever their ability level. Creativity at your finger tips.